Successful hospital transition of more than 1,500 patients and staff. 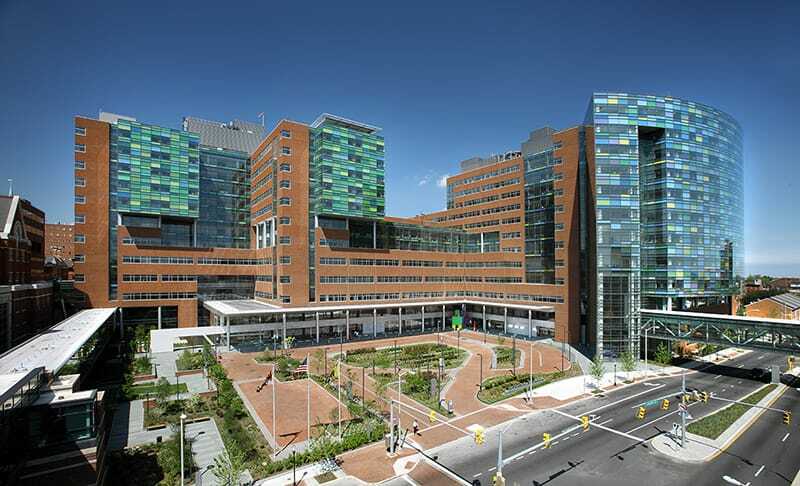 Gilbane provided transition planning and management services to the Johns Hopkins Hospital for the 1.6 million square foot new clinical building. The new building houses two distinct programs into a single structure: the 560,000 square foot Charlotte R. Bloomberg Children’s Center and the 913,000 square foot Sheikh Zayed Adult Tower. The hospital staff knows how to move patients, but it’s not every day that they move hundreds of patients at one time. Of the 1000+ hospital bed system, the new building required relocating 560 patient beds, which included over 180 intensive care unit (ICU) beds – the most critical patients in the hospital. Gilbane prepared the staff for the transition by providing a detailed roadmap that tracked the progress of the entire project and supported the relocations of patients, staff and equipment by providing logistics planning, move manuals and hosting “day-in-the-life” training sessions. In preparation for the final move, hundreds of staff participated in mock moves. The Gilbane team performed operational interviews and facilitated several workgroup meetings to ensure that all patient care and procedure areas were prepared with the equipment and resources required to maintain normal operations 24/7 throughout the transition period. With the support of the Gilbane team, the Johns Hopkins Hospital experienced a successful move into their new clinical space while maintaining their day-to-day operations.